I was lucky enough to have been involved in a company that developed and sold one of the early Windows based POS systems in the early ’90’s. Back then retailers either had simple dumb Electronic Cash Registers or the really adventurous had moved on to DOS based systems (including PC’s) with the old green screen character based interface at Point of Sale. There was some pretty serious discussion about why retailers would want to move to Windows when the old DOS systems were still working. Retailers really like to “sweat” their assets (POS) for the longest possible time before changing. But in the end there were compelling reasons for them to switch and most did, with Windows becoming the prevalent systems for most retail POS. Mostly DOS became obsolete and unsupportable and finding PC’s that still ran it or programmers that could still build or support DOS systems became increasingly difficult. Well guess what? The time for change has come again to Retail POS and again there are compelling reasons to make the change (probably even more compelling than ever before). Again retailers are holding onto existing systems and debating about whether or not to change. As you will see in a post below the USA based Retail Information Systems Magazine (RIS News) compares it to the Y2K Moment that drove a number of retailers to upgrade their systems to be Y2K “compliant” – usually Windows based. 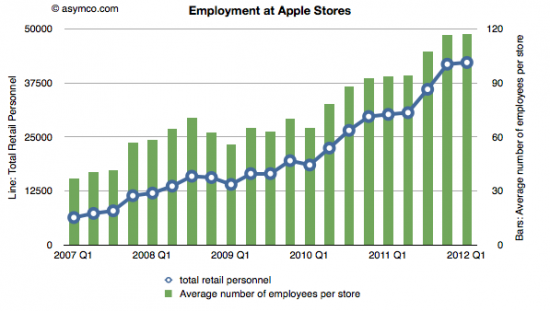 No-one can argue that there is some serious structural change happening in retail at the moment. You just need to look at retail segments like Music, Books and Newsagents to realise traditional retail stores are under serious threat. Even our traditional Department Stores with a focus on fashion are starting to produce some very ordinary results. It can’t all be blamed on the soft economy or overseas online retailers getting a tax break. The way people shop has changed. Customers are now better connected and better informed than ever before and armed with Internet capable mobile devices when they shop. They have better, more powerful technology in their pocket than most retailers have in their stores (or at Head Office for that matter). To be effective retailers now need POS systems that are cross-channel aware (online, mobile and instore), that allow customers to connect and communicate using their social networks and that are mobile allowing the sales assistant to enhance the customer experience with the customer instore. These POS systems are very different from the traditional Windows POS systems most retailers are using today. Forbes called mobile POS the “Biggest change to hit retail in 50 years“. For 2013 the key is going to be mobility. Retail In-Hand. That is Mobile consumer apps connecting with customers and allowing them to browse and research product, show friends, ask questions and yes even compare prices! They will do it anyway – so why not make it easier by providing instore WiFi? 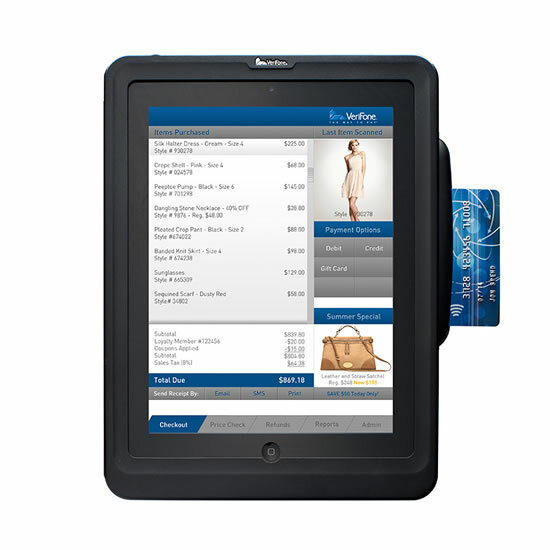 It also means Mobile POS in store – giving store associates the tools and information they need to better serve their customers on the sales floor where the purchase decision is being made and that includes taking payment on the floor without going back to some static till point or counter. Bricks and Mortar retailers have the advantage over online retailers of a face to face relationship with their customer. They must however realise that their customers have changed and won’t hesitate to walk out of the store to order online if their needs aren’t being met in the store. Retailers are you ready for a mobile 2013? Traditional POS at a Tipping Point? A couple of studies undertaken by US publication RIS News recently got me thinking seriously about the future of retail Point of Sale systems installed at the majority of retailers today. 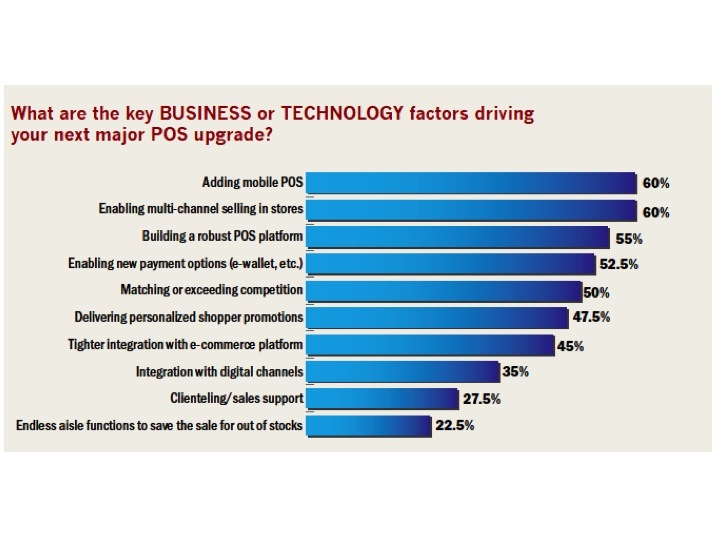 Is retail Point of Sale (POS) technology at a tipping point now? Could retailers potentially be facing a requirement for a major upgrade of their customer facing systems over the next 12 months? Should they be thinking about it now? I feel that the answer to all of those questions is a definite “Yes”! If so then what are these new customer facing systems going to look like? For the answers the stats in the RIS Studies are quite illuminating. Firstly in an RIS News study by Joe Skopura on “The Y2K Moment for POS” found here there are some great insights into the future of POS systems in the US. No-one would argue that retailing has changed significantly and structurally over the last couple of years. The model for physical stores is under siege “Stores are over built, downward margin pressure is a contagion, fixed costs are rising, online and mobile shopping is booming, and showrooming is catching fire”. To be effective, POS must now be cross-channel ready and enabled where the customer wants you, when they want you, armed with the information they want – out on the shop floor with the customer. As the hub of the customer experience the retail store can offer a powerful face to face advantage over online as long as the sales associates are empowered with the technology and information to meet the needs of the educated and now mobile equipped shoppers. In the study 61% of retail respondents said that their POS is more that 5 years old (the number will be similar in Australia) and 48.8% noted that they would need to change in the next 12 months. With the “Addition of Mobile POS” being the main driver to upgrade (60%) along with “Enabling Multi Channel selling in store” (60%) and “Enabling new Payment options” (52.5%). Why POS and Why now? Simple POS is the essential store operations platform and the pivotal enabler for additional services to improve the customer shopping experience. To combat further erosion of market share and margins to online – retailers need to act now! The fact that retailers are looking at mobile POS as a key driver and new (read mobile) payment options shows that retailers are looking to replace expensive fixed POS terminals and static counters with cheaper mobile devices that allow sales associates to get out from behind the counter onto the shop floor to serve the customer better at the point of decision rather than letting customers walk out the door to buy online later. PayPal has been around for awhile, not quite Dinosaur stage yet, but it is still innovating! Thanks for taking the time to read the second edition of the New Retail Technology Newsletter for August. Thanks also to those of you who contacted me after the first edition, I really appreciated the great feedback and concern expressed over my unfortunate Achilles predicament. For those interested, my Achilles is progressing really well – I should be out of the Moon-Boot and (almost) back to normal in a week or so (still a fair bit of Physio to go though). This edition will focus on what is currently happening in the Mobile Payments space that will have a huge impact on how products and services are going to be paid for in the future in the world of retail. So it is worth taking note of some the key trends. Firstly, Smart Phone adoption is skyrocketing around the world – in Australia the smart phone adoption rate is nearing 65% (and you can bet that is much higher in the demographics most retailers are focused on). Secondly, retailers are gearing up for Contactless Payment – currently being driven by Visa payWave and MasterCard PayPass, a new generation EFTPOS payment terminals are being rolled out that have the option for Contactless Payment (tap and go). Companies like 7 Eleven and bigger IGA supermarkets have had contactless terminals for some time and Coles has just completed rolling out 750 Supermarkets, while Australia Post is now rolling them out to over 4,000 outlets. The move to Contactless payment is being driven by customer convenience and speeding up the payment process. The Visa payWave ad captures this beautifully. See it by clicking here. 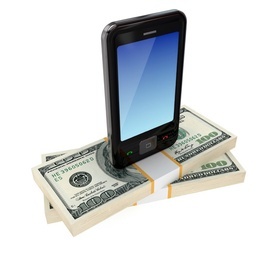 The feature this week will concentrate on some key events in Mobile Payments in the last couple of weeks. Starbucks decision to use relatively new start-up Square to process all Credit Card payments across all 7,000 outlets in the USA has some significance as it is the first time a major retailer (Starbucks) has partnered with a new generation mobile payments organisation (Square) to process all of their payments. This will replace Starbucks own internally developed mobile payment application and future functionality promised by Pay with Square is quite exciting (see next post). The other major player in the Mobile Payments space is PayPal with their PayPal Here application – again PayPal are making some early, but significant inroads into retail that will also be very disruptive to the traditional payment services (Credit Card companies, Banks and Payment Networks). As interesting and disruptive as Square and PayPal are to retail payments, the one that has the potential to be the most disruptive will be Apple who will be launching the iPhone 5 in September that is rumoured to have NFC (Near Field Communication – contactless payment) capability utilising the new iOS 6 feature Passbook which could also be used to facilitate customer loyalty schemes, discount coupons and event tickets. In Australia the major banks are also starting to get in on the Mobile Payment action with CBA’s Kaching, ANZ’s goMoney and Westpac’s PayWay. There are also numerous mobile application developers around the world building apps that will process credit card payments eager to jump on the mobile payments bandwagon and get a cut of each payment transaction, all of which will have the effect of driving the cost of processing payment transactions down (good for both the merchants and for the consumers). Some of the mobile payment names to watch are PayMate and iCCPay in Australia, GoPago in the USA and iZettle in Europe. Ha, I’ve just pulled my copy Time out of the mailbox (still getting the print edition) and guess what is on the cover of this weeks edition? The Wireless Issue – 10 ways your mobile phone is changing the world. One of those 10 ways is mobile payments. As Bob Dylan famously sang in 1964 “The order is rapidly fadin’/ And the first one now/ Will later be last/ For the times they are a-changin” is still very relevant for today.